Dr. Abdullah Shah joins CU as a research associate in 2002 and promoted as lecture in 2003. He completed his MS in applied mathematics from the department of mathematics CU Islamabad under the supervision of renowned mathematician of Pakistan Dr. Q. K Ghori (late) in 2005. Soon after his MS degree he was awarded with a PhD scholarship under the “Faculty Development Program” of CU. 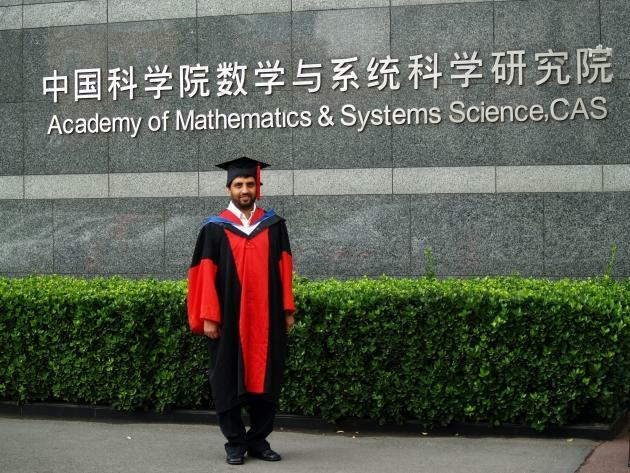 He obtained Ph.D. in computational mathematics from Institute of computational mathematics and scientific/engineering computing (ICMSEC), Chinese Academy of Sciences, Beijing in 2008. Currently, he is working as an associate professor and associate head in the department of mathematics, CU Islamabad and involved both in teaching and research. His research interests span mathematical modeling and simulation, scientific computing and computational fluid dynamics and have published several research papers in refereed academic journals and international conferences. He is an approved PhD supervisor in mathematics by Higher Education (HEC) Pakistan. He is also the winner of CU prestigious award i.e., CU Medal for Innovation (CIMI) 2008, Research Productivity Awards 2010 and 2011 by Pakistan Council for Science and Technology. After completing his BS-Mathematics from COMSATS University (CU), Mr. Bukhtiar Mohsin joined Pakistan Institute of Engineering and Applied Sciences (PIEAS) for Masters in Nuclear Engineering. Later, he worked as a senior scientist at Pakistan Atomic Energy Commission and developed a code for optimization of fuel reloading in nuclear power plants. His primary areas of interest are artificial intelligence and optimization theory. 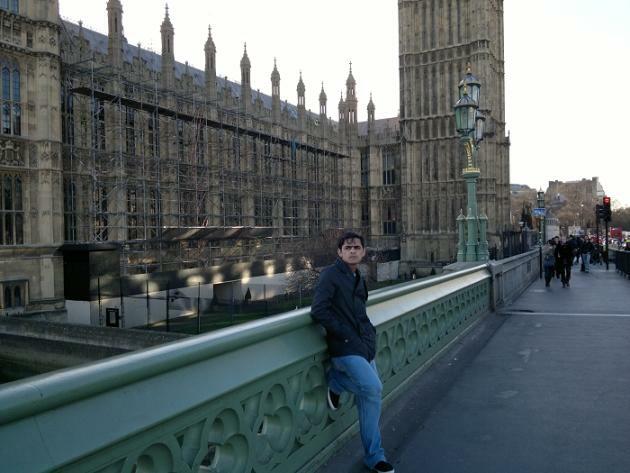 He is currently pursuing his PhD degree at the University of Salzburg, Austria and is working as a lead scientist to develop an expert system on EU-FP7 Bridge project. This project is about disaster management, the BRIDGE consortium is working for a state of the art system for management of worst disasters like huge fire break outs, Floods, earthquakes, or terrorist attacks at key structures or nuclear accidents. He will be developing software that will help the decisions makers in case of a disaster. The software will give valuable advice based upon the data collected from the disaster site, about the steps in the order of their importance that can be taken to minimize the future damage and life loss. Mr. Bukhtiar Mohsin is pride of CU. When asked about his experience at CU, he said: "My decision of studying Mathematics at CU was one of the best I ever made. It completely changed my personality. It groomed me in ways I could never have imagined. It helps me in everything I do. After my bachelor at the department of Mathematics, I never faced any problems in studying anything. The Mathematics department provides you with an environment most suited for learning. The friendly and helping faculty and their commitment to research and knowledge delivery makes it one of the best Mathematics departments in Pakistan. I believe that Mathematics is now a big part of my personality." He further adds "Mathematics has always intrigued me since I was a child. There is something very beautiful about it. It speaks to you, whispers in your ears, about things that you always wondered about. Mathematics is truth it appeals to mind opens it, lets you think better. Not only does it improve the ability to calculate but it completely changes your approach to life, or as Archimedes said "There are things which seem incredible to most men who have not studied Mathematics." Bakhtiar Mohsin (left) with Mustafa Mehfooz (right), two brilliant students of CU. In the summer of 2002, CU announced its first admission in BS(mathematics) program under the title “Mathematics is the language of nature”. This statement and the offer of a scholarship convinced Dr. Muhammad Fazeel Anwar to leave his BCS degree and join the BS(mathematics) program. Due to his interest in mathematics and the excellence of CU faculty, he excelled in his degree. He completed his degree with distinction in 2006. After his bachelors he had options of joining the banking industry or a defense organization. But he decided to seek a career in higher education. He joined CU as research associate in 2006 and was then awarded a fully funded scholarship by CU for a PhD at University of York, UK. The knowledge and exposure acquired at CU helped him flourish in his PhD and he completed his degree in 2011. His field of specialization is Representation theory. He has published papers in reputed international journals and has also participated in many international conferences. 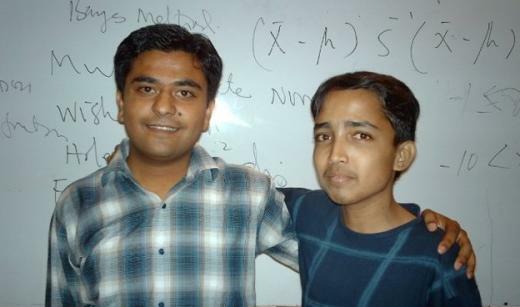 Currently he is working as assistant professor in the department of mathematics.